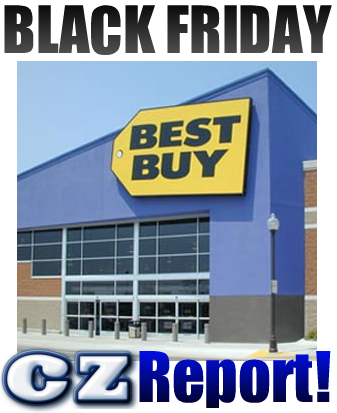 Black Friday Smartphone Report - Samsung Jackpot! I spent Black Friday 2013 in Eastern Ohio, and was lucky enough to bag the Samsung smartphone special, getting two Galaxy S4 handsets for nothing down. The regular price is $199 with a 2-year contract agreement. My college "kids" were both due for an upgrade, so this was perfect timing. We didn't hear about the deal until we arrived in Ohio the day before Thanksgiving. I had previously planned on plucking a couple of Galaxy S3 devices for their gadget pleasure, but that idea quickly got nixed when I heard about the deal. We arrived at Best Buy at twelve o'clock. I made my way to the cell phone area, and there was quite a line. It wasn't like one of those obsene lines that go outside and around the building, but it was bad enough. Activating new smartphones takes some time, so even a short line can take an eternity. The Best Buy rep told us that we were approximately 3 hours away from being served. We all looked at each other, wondering if this would be worth the trouble, but decided to go for it. My wife and daughter bailed to go shoe shopping while my son and I held our place in the line. Some people were worried about the Galaxy S4's running out of stock by the time they arrived to the front. But we were told that 90% of the people in line were on Verizon, so we were safe with our need of AT&T handsets. That was a relief. Originally, I had planned on upgrading my son, daughter, and wife's smartphones. The son and daughter had their Samsung Galaxy S2 handsets, and the wife had a Galaxy S2 Skyrocket with an LTE radio. Sadly, we were told while in line that there was a 2-phone limit per family on the zero-down upgrade deal. By the time we made it to the front of the line, we found out that my son and daughter's upgrade date was actually one day away. We were a day early! I didn't think once about checking my upgrade eligibility before getting in line. That wasn't very smart! But thankfully, after speaking to the representatives over the phone at AT&T, we were relieved and truly thankful when they rolled back the upgrade date by one day. Our 3-hour wait was not made in vain. It took an additional hour to get our phones activated, because I didn't have my bill current. After paying my monthly bill, we were able to move forward and set up the new phones. Since I had an existing plan that I wanted to keep, it took quite a bit of work for the Best Buy rep and the AT&T phone rep but they finally got everything switched over. We were all exhausted after this long process, but in the end, I would do it all over again. The special is still on today, a day later, but there's no guarantee that it will go beyond today. 2 years ago, I was able to land the S2's and the Skyrocket on similar Black Friday deals. Both of those models returned to their full prices after Cyber Monday. Last but not least, my wife's upgrade will be available in two days. I have a big decision to make. I'll either look for another Galaxy S4 deal, or pass down my own Galaxy S4 (after I fix it) and get a Galaxy Note 3 for myself. But we will save that for the next post! Did you land a great deal on Black Friday that you would like to share? Post it in the Disqus comments section!